Chairman Ben Wilson (Washington, DC) will receive the 2017 Sheryl J. Willert Pioneer Diversity Award from the Defense Research Institute (DRI). The Willert Pioneer Diversity Award is given to an individual who has “demonstrated dedication and commitment to advocating diversity in the legal profession through activity that has a visible, tangible, or measurable impact on the perception of, attitude toward, respect for, and treatment of other persons.” The award will be presented at the DRI Diversity for Success Seminar on Thursday, June 15, 2017, at the Swissotel Chicago. "I am humbled and honored to receive this recognition from DRI," said Ben. "Being the leading organization of defense attorneys and in-house counsel, I look forward to working with DRI to foster, promote, and augment diversity and inclusion initiatives in the legal profession." “Ben is a great mentor, leader, and visionary in the area of diversity and inclusion. His dedication and influence extend throughout and beyond the legal profession. We congratulate him on this much-deserved recognition,” said Nessa Coppinger, co-chair of the firm’s Diversity & Inclusion Committee. 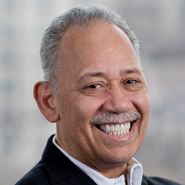 A tireless advocate for diversity and inclusion, Ben received the 2016 Thurgood Marshall Legacy Award from the Thurgood Marshall Fund; the 2016 Charles Hamilton Houston Medallion of Merit from the Washington Bar Association; the 2014 Spirit of Excellence Award from the American Bar Association Commission on Racial and Ethnic Diversity in the Profession; and the 2013 Dedication to Diversity and Justice Award from the ABA Section of Environment, Energy, and Resources.